Of the six matches played in the World Cup, Pakistan have not once beaten India. Former wicketkeeper Moin Khan believes Pakistan‘s current national team has the firepower to break its World Cup jinx against India and register the country’s maiden win over their arch-rivals in the ICC World Cup starting May 30. 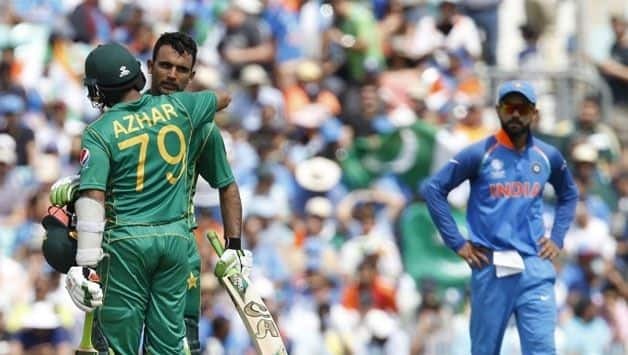 Of the six matches played in ICC’s premier event, Pakistan have not once beaten India, and the two teams are set to face each other one more time in the upcoming edition in Manchester on June 16. “This present team is very capable of recording a first win over India in a World Cup because there is talent, there is depth and variety and Sarfaraz Ahmed has now gelled the squad well,” Moin said on GTV News channel on Tuesday night. Moin, who featured in many famous matches against India and was a member of the 1992 and 1999 World Cup teams, added that this time he is confident of a Pakistan win. 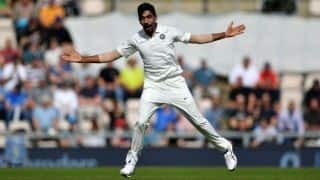 “I say this because our boys beat them (India) in the Champions Trophy two years back and I just feel that in English conditions in June we have better bowlers,” he said. Weighing in on the World Cup, Moeen feels India and England would be the two teams to beat in the quadrennial event. “This should be a very interesting World Cup and I am backing Pakistan to beat India. Our boys are in good spirits and it is good they will go into the competition after having played ODI matches against South Africa, Australia and England,” said Moin. He also supported the move to have three weeks training camp in England before the World Cup, saying this would help the players in acclimatising comfortably to the English conditions. “Pakistan has been one team which has done well in England in the last many years and in May-June the weather can be unpredictable and there is moisture in the pitches,” Moin said. The former Pakistan manager and chief selector also supported the return of Sarfraz as captain for the World Cup. Sarfraz was under the pump following Pakistan’s performances under him and the wicketkeeper batsmen further landed himself in trouble with a racial slur towards Andile Phehlukwayo. But Pakistan Cricket Board (PCB) chairman Ehsan Mani confirmed last week that Sarfraz will lead the side in England. “I don’t know why all this fuss was made about the captaincy after the ban imposed on him for a incident blown out of proportion to my mind. I have seen Sarfaraz lead the team and I know since he was a junior and I have captained and coached him and I can tell you there is no better person to lead the Pakistan team than him now,” Moin said.